This is a picture of my mobile that hangs on the ceiling. I took a picture of my one wish for 2014! And then one day on the beach, Mom and Dad said we have been thinking for a long time and we are not moving to Vancouver. 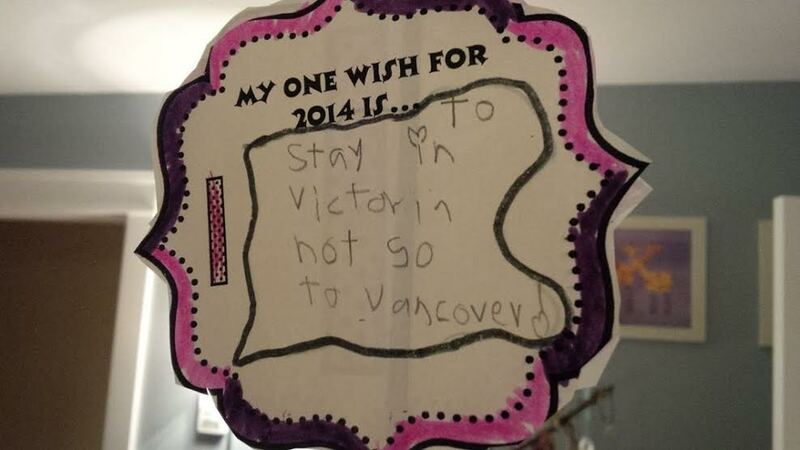 In fact, I made a drawing of me saying my one wish for 2014 is not to move to Vancouver. First I thought we were moving! And now we are not. Glad you are Happy Cate. I enjoy reading your Blog.